On April 4, as President Trump announced his intent to withdraw troops from Syria as soon as the fight against ISIS is complete, more than 5,000 miles across the Atlantic, a NATO ally was hosting the Russian and Iranian presidents for a summit on the Syrian civil war. 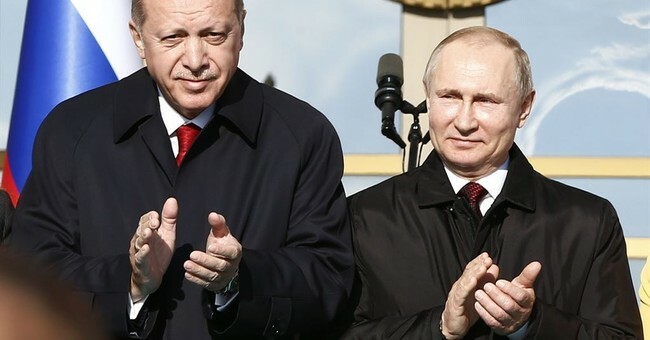 Much has been said in recent years about how Turkey’s growing closeness to Russia and Iran is a worrying development for its NATO partners. While Turkey’s place continues to be – and should remain – firmly in NATO, Ankara’s current cooperation with Moscow and Tehran over the conflict in Syria is a stark reminder of why the U.S. will need Turkey if it hopes to see a stable, ISIS-free Syria once U.S. troops come home. During his announcement on April 4, President Trump said that the U.S. will consult “groups of our allies” and coordinate with “others in the area” in order to decide the U.S.’ next steps after the completed defeat of ISIS in Syria. Turkey is one of the allies that should be centrally involved in these consultations. No NATO country lost more from a destabilized Syria than Turkey. Since the summer of 2015, Turkey has experienced more than 30 major terror attacks that have claimed more than 500 lives. The majority of these attacks were carried out by ISIS and by the PKK. For Turkey – both its government and the majority of its people – it is impossible to distinguish between these two terrorist groups. Yet since 2014, the U.S., Turkey’s NATO ally, has chosen to partner with the People’s Protection Units (YPG) – a militia linked to the PKK terrorist organization – in order to fight ISIS, a different terrorist group. While the U.S. describes its decision to work with the YPG as a tactical, short-term approach to the defeat of ISIS, this move has already directly impacted Turkey’s security. It has served to legitimize a terrorist organization that has killed the citizens of a NATO country. For example, in 2016, two bombings – the first on February 17 targeting police personnel, and the second on March 13 at the popular Kizilay Square – were carried out by PKK-affiliated attackers who had spent varying amounts of time training in northern Syria. The YPG is the armed wing of the Democratic Union Party (PYD) in northern Syria, which is itself part of the Kurdistan Communities Union umbrella that also includes the PKK. The PKK and the PYD share not only the same thought leader (Abdullah Ocalan) and ideology but also a command and control structure. The dominance of the PYD and YPG in northern Syria has created a region directly across Turkey’s border from which the PKK can continue to threaten Turkey’s security. However, the U.S.’ partners against ISIS aren’t just a threat to Turkey but also to the Syrian people who find themselves in areas under the control of the YPG. Despite claiming to be advancing a “democratic” experiment in northern Syria, the PYD’s rule veers toward authoritarianism. Human Rights Watch has documented abuses such arbitrary arrests and the use of child soldiers in areas run by the PYD. Despite the inclusion of Arab fighters in the Syrian Democratic Forces (SDF) – the U.S. coalition partner whose leadership is dominated by the YPG – the push by a Kurdish fighter-led force to oust ISIS from the majority Sunni Arab city of Raqqa highlighted the deficit of trust between the Kurdish YPG and Sunni Arab populations in areas it has captured from ISIS. In order for ISIS to stay defeated without hope of reemerging to threaten people across the globe, the conflict in Syria must end and the country must be stabilized. However, a Syria that is stabilized along terms dictated by Iran goes against U.S. interests in the region. As both a NATO ally and a country that has lines of communication with Tehran, Turkey is and will continue to be the U.S.’ foremost partner in countering Iranian influence when the dust settles on the battle against ISIS. As President Trump gears up to consult with allies on the U.S.’ role in Syria post-ISIS, his first step should be to get back on the same wavelength as Ankara by choosing to work with a NATO ally in northern Syria, rather than with a terrorist organization.